Baseball, Crib Set. Navy, Red. You design. Several Colors Available. Cotton Crib Sheet - most solid colors available. 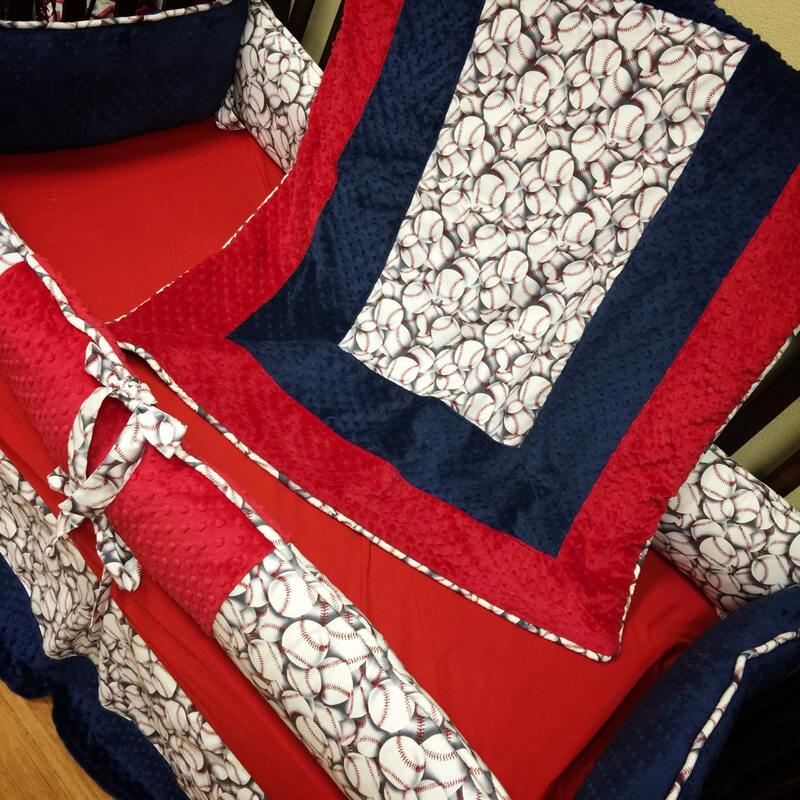 Most popular, white, navy, or red. 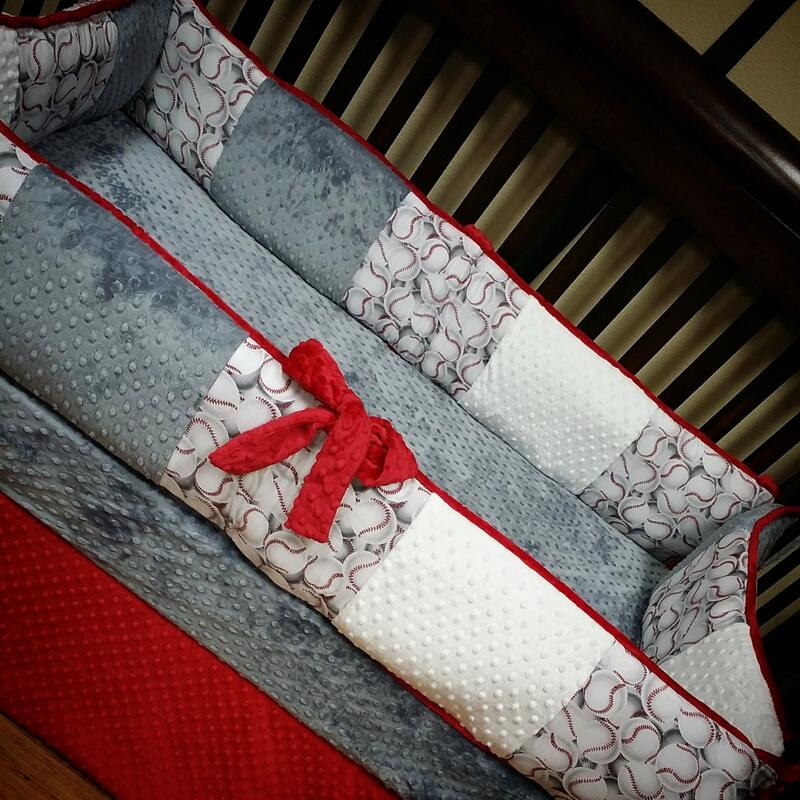 Love how the bedding turned out! Looks so cute in little man's room. 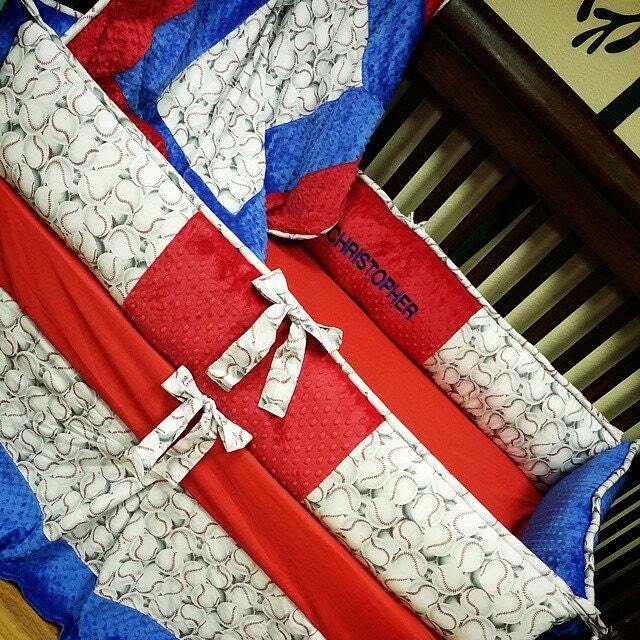 OMG... We love this crib set!! Couldn't be happier!! Thanks!